Technology has altered the nature of the world beyond recognition and this is especially true of the illustration industry. The digital revolution has transformed the techniques and tools of the industry and the process continues at an ever faster rate. The pace of change is mind boggling, with a new trends and new software emerging every other day, making it difficult for an illustrator to keep up with the times. The history of illustration is replete with changes and in every era, the artists used colours and tools popular at the time. The nature of the colours and the methods of illustrations underwent changes but the basic tools of the industry remained constant. However, with the advent of digital age, technology has sidelined the use of colours, brushes and airbrushes. Technological sophistication has changed not only the techniques but also the tools and the basic nature of the art form. In addition, the simplicity of use has made illustration software more widely accessible to the layman. People who are not trained artists are now able to create standard illustrations; small projects no longer require expert illustrators to execute. The digital revolution has also increased the demand for illustrations, while enhancing the simplicity of the process. Illustrators can now work from anywhere on a freelance basis. They now have flexibility with regard to the location and the work hours. If an illustrator is able to establish the right contacts within the industry and is able to produce work to the satisfaction of his clients, he no longer has to invest in office space or expensive infrastructure. 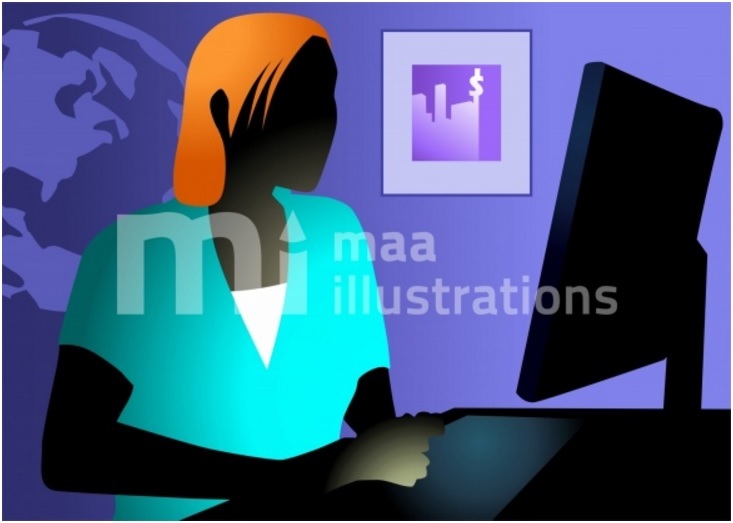 All that matters is the illustrator’s ability to convert ideas into eye-catching visuals and market his abilities in the right way. One of the most critical factors for long term success of illustrators is constant upgrading of skills and awareness of the new trends in the market. It is important to stay one step ahead of the competition at all times to avoid becoming obsolete and losing touch with the audience. With the heavy inflow of new technology, this is not exactly an easy task but nevertheless it is necessary to remain competitive in the illustration industry. However, many industry leaders still believe in the primacy of creativity. According to them, despite the excitement of modern technology, the key to success as an illustrator is the ability to produce original and distinctive visuals consistently. The execution of the idea could involve various levels of technology but it is still the idea that is the king!